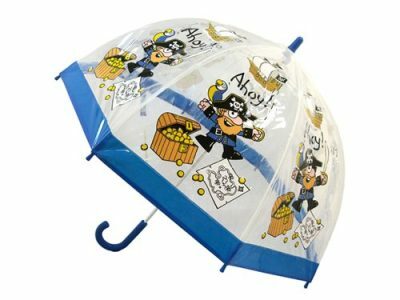 This colourful clear childrens duck umbrella has a bright yellow trim with creative and cheerful cartoon ducks on it. 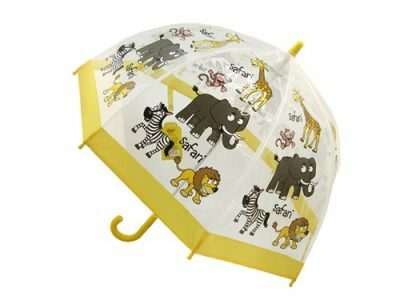 This umbrella will brighten up your child’s day on an otherwise dark and gloomy one! 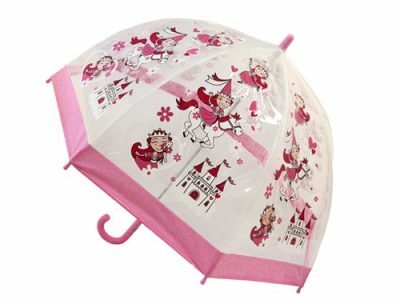 This range of wonderful Children’s Umbrellas has been fully tested to comply with strict European safety regulations. 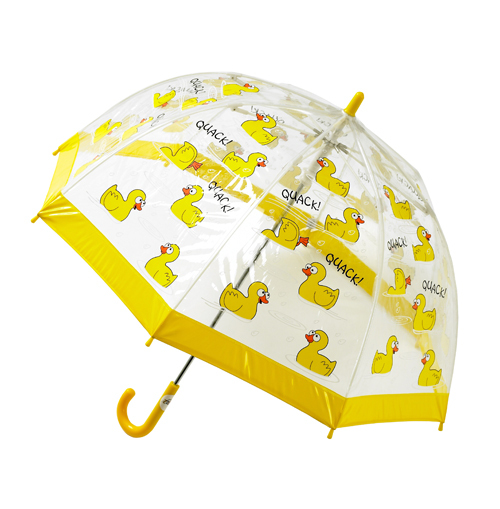 The Childrens Duck umbrella has an abundance of bright yellow ducks swimming across the dome. 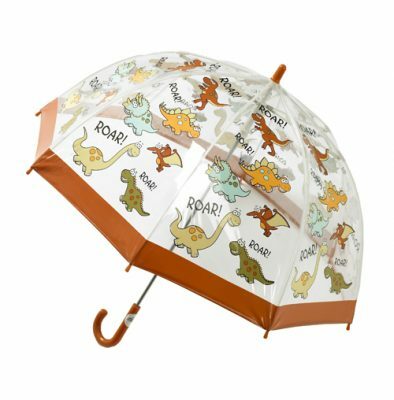 It may very well be raining, but it’s only half way up the ducks! A bright yellow matching hem, tip and handle complete the design. Construction includes an exclusive runner for easy opening and closing making operation safe for little people. Not suitable for children under 3 years of age. Canopy diameter when open is 65cm and umbrella length when closed 68cm.